Kathy Caprino currently runs a leadership and career success coaching and consulting firm focused on the advancement of women. A trained therapist and coach, Kathy has had the pleasure of working with over 10,000 emerging women leaders at Fortune 100 companies, national women's conferences, non-profits, academia and startups. 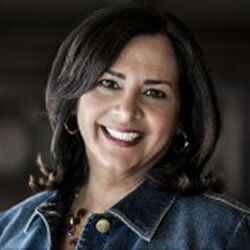 Kathy has also served as a graduate instructor for New York University and career trainer for Mediabistro. She blogs for Forbes, Huffington Post, AARP's Life Reimagined and her own Ellia Communications career blog. Kathy is the author of Breakdown, Breakthrough: The Professional Woman's Guide to Claiming a Life of Passion, Power and Purpose. You can reach Kathy at www.elliacommunications.com, Amazing Career Project, and connect on Twitter @kathycaprino, Facebook, LinkedIn, and on Google+. No Replies to "Don't Let Yourself Forget Who You Were at 16"